Our goal at Building the Sales Machine is to enable sales leaders in the tech community to learn from each other. We’re all in this boat together trying to help revolutionary companies disrupt the norm, to make people’s lives easier, better, & more fulfilling. We’ve been bringing some of these leaders and strategies to life through our articles, meet-ups, speaking events and interviews. 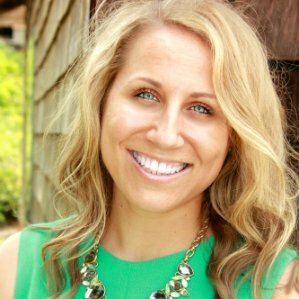 Christi Schaufler is Sr Director of Entertainment Sales at LivingSocial, the local marketplace to buy and share the best experiences in your city and beyond. 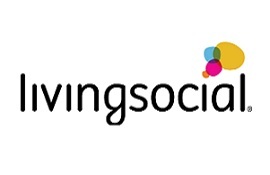 Christi started at LivingSocial in 2010 as a front line outside sales person before being promoted to sales manager, then international sales ambassador, and eventually sales director. In my time working with Christi, she proved to be one of the most thoughtful , motivated, and metrics driven sales leaders out there. All that to say, I thought she’d have some interesting options to share with BTSM readers. No matter how long you have been part of a sales organization, your attitude is the most important aspect of the job. When sales are coming in left and right, you tend to be happy and busy. When sales slow down, you start blaming all outside factors rather than looking internally and seeing what has changed for you personally. Each person has to believe in their own abilities and work towards goals that they set for themselves (outside of what the company requires). Choose to do what makes you happiest. Make career choices that feel right deep down and you cannot go wrong. When given options – still make the ever popular pro’s and con’s list, but the reality is… you know that “right decision” for you before you write the first “pro” on your list. “What gets measured gets done.” Choose at most 3 things that are important to your team’s success. If you try measuring too many KPI’s, you inevitably will fail at some because the focus is not narrow enough. We all want to be “the best” in every aspect at all times, but how do we know if we are making progress in the areas that make the most impact (whether it be to the bottom-line, the total number of new accounts sold, or increasing your NPS score…). Don’t try to change things as soon as you join a new team. Take the first few weeks to listen in detail, take notes, and find common themes that come up from each sales person on the team. Don’t promise to fix things that you are not familiar with; it will not be beneficial in the long run. As you learn about the team, the needs, and the likes and dislike you can formulate an idea and then use real data and numbers to come up with the game plan. Christi has over 10 years of sales leadership experience ranging from field sales, to market development, and international sales management. She specializes in building top performing sales teams within results focused business model. Currently, Senior Director, Entertainment Sales at LivingSocial.​ Follow her on twitter here , or linkedin here.